You gotta love the way the English language is changing, moment by moment, via online discourse and the perma-audience social media has established. 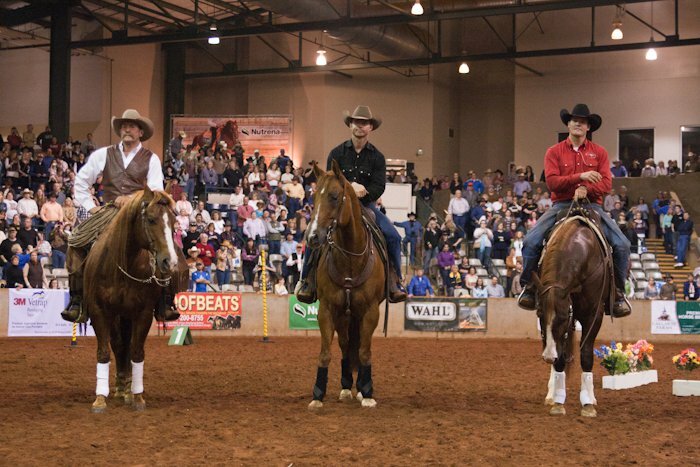 Case in point is the Facebook feed regarding the 2011 Road to the Horse Legends Competition, featuring TSB author Clinton Anderson, Chris Cox, and Pat Parelli (and hosted by TSB author and television personality Rick Lamb). Obviously, RTTH is getting clever with some of the major tenets in each of these trainers’ philosophies. But just for our own peace o’ mind, let’s break this down so we all can see past the lingo for a minute and actually understand what this short-speak means in terms of horse training. We can all take a page out of the Clinton Anderson books (see the TSB bookstore for more information on DOWNUNDER HORSEMANSHIP and LESSONS WELL LEARNED) and understand a little of what he means by building a mutual RESPECT between horse and handler/rider. Clinton believes that RESPECT is the basis of FRIENDSHIP. And to get your horse to respect you, all you have to do is get him to move forward, backward, left, and right, and always reward the slightest try. Chris Cox has another lead principle. He leans on PREPARATION and claims he never asks a horse to do something he hasn’t first prepared it to do. And by PREPARE Chris doesn’t mean DESENSITIZE.He thinks it is okay for your horse to react to something, although if he’s properly prepared he won’t overreact. In the meantime, Pat Parelli lists “RELATIONSHIP” as the third of his basic principles. He says you can’t get anywhere with a horse without first establishing a relationship with him. And yes, friends, this is where our new verb comes in…introducing RELATIONSHIPPING (your horse, apparently)…don’t ask us what that means exactly, but it happened today, in Murfreesboro, Tennessee. We hope that all attendees came away from the event feeling a little closer to understanding horses, a little more confident when getting in the saddle, and a little more fluent in trainer-speak…it is always changing. We at TSB will just try to keep up. We look forward to hearing where the colts from the 2011 RTTH Competition end up. It is often part of our holiday tradition of “giving” to fill a basket with food or a stocking with toys for a family or child less fortunate than our own. One of the most wonderful aspects of the holiday season is that it inspires each of us to look around at what we have, and who we have in our life, and be thankful–and then reach out to share some of that with which we are blessed, with others. This holiday season, take a moment to think of the thousands of horses, donkeys, and mules in rescues and foster homes. The people who care for the “unwanted” equines of the world work hard, usually with limited funds, to offer a healthy, happy existence, and perhaps even a chance for a loving home in the future. In years of a poor economy, donations to rescue centers undoubtedly fall, which means that the last few years have been especially difficult for horses in need. Some rescues invite you to “sponsor” a horse for a month, a year, or until he has found a new home. 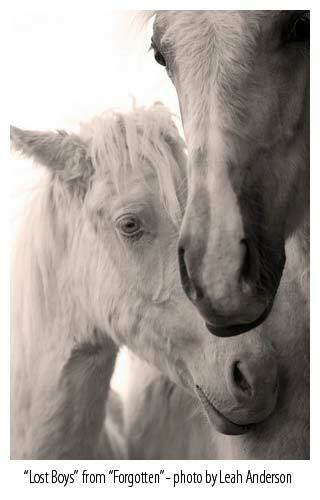 Habitat for Horses has such an option, as well as memberships and corporate giving opportunities. Many of you might recognize Habitat for Horses as TSB author Clinton Anderson trained an abused H for H rescue named Cider on his RFD-TV show. Cider was then given away to an appoved, loving home at the end of the series. (You can see before-and-after pictures of Clinton working with Cider in Clinton’s book LESSONS WELL LEARNED. Others run donation opportunities at various levels, where a small amount of money might go a long way toward covering the New Year’s expenses. New Vocations Racehorse Adoption uses this model. In addition, a portion of the sale of every copy of BEYOND THE TRACK (the best-selling book on retraining ex-racehorses and giving them a second chance at a new career) by New Vocations Program Director Anna Morgan Ford goes to support their rehabilitation and retraining facilities. You can find a rescue organization near you by simply Google searching for “hooved animal rescue” or “horse rescue” plus your state or county, or by contacting your local Humane Society. At Trafalgar Square Books, we hope we can all join in to give the equine population the world-over a healthier, more contented, “fuller” year–complete with adoring human friends who handle them with respect and conscientious care–in 2011.